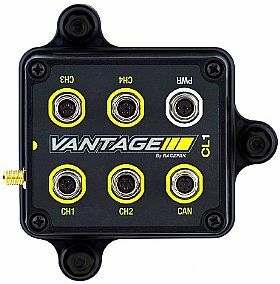 The Vantage CL1 data kit merges the power of Racepak�s exclusive mobile App technology with a vehicle mounted CL1 data box for the most advanced, yet intuitive data system available! Your Smart Phone is now the datalogger! *EGT Consider's this The Avenger 4! CLICK HERE to view The Vantage CL-1 in Action! CLICK HERE to Learn More about the Vantage CL-1!